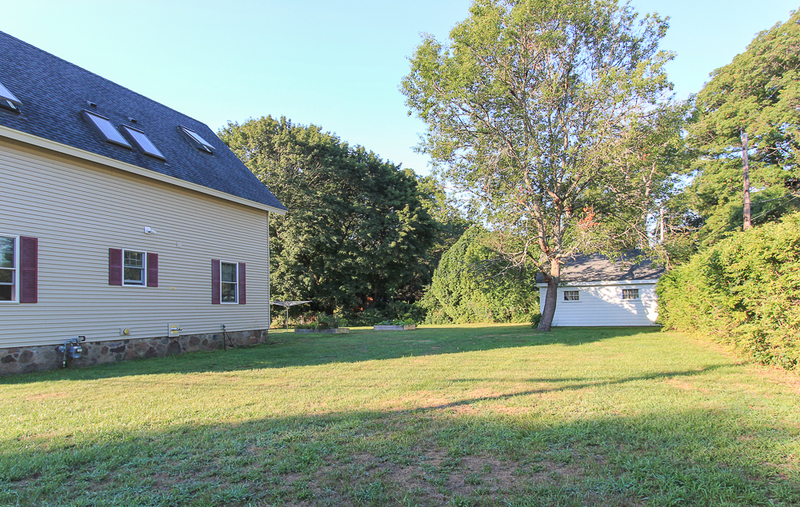 Renovated Colonial home in Hamilton, Massachusetts. 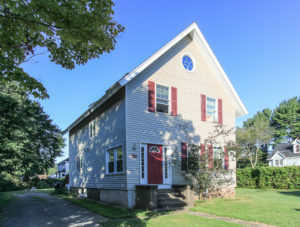 This home has had a nearly complete renovation and expansion in 2009 by the present owners. 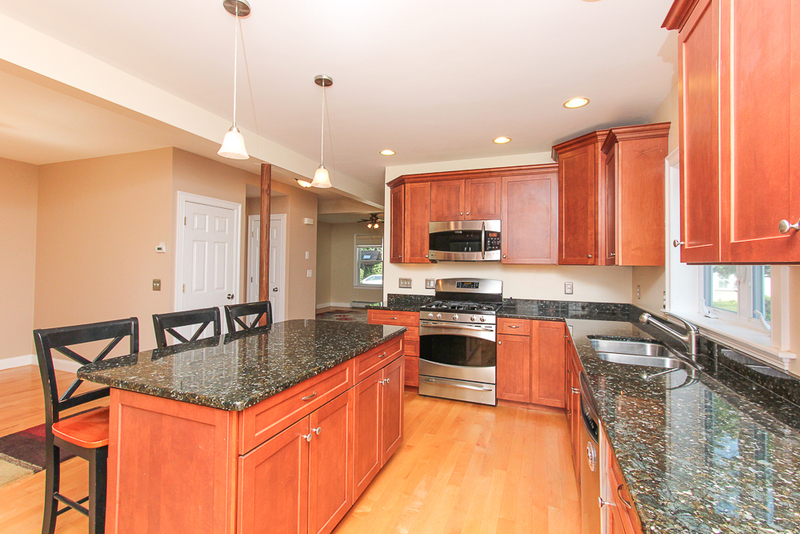 The first floor was designed to accommodate a spacious kitchen open to the dining and living rooms. 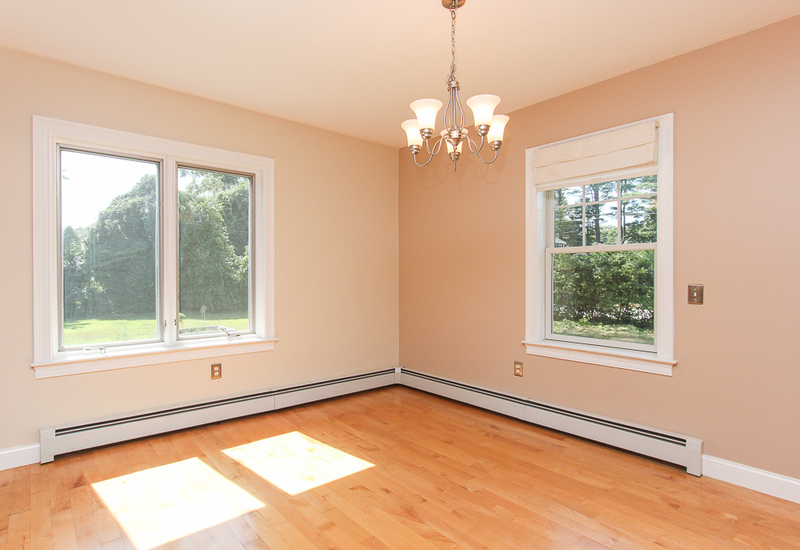 Beautiful hardwood floors were put in throughout these rooms creating a seamless connection. 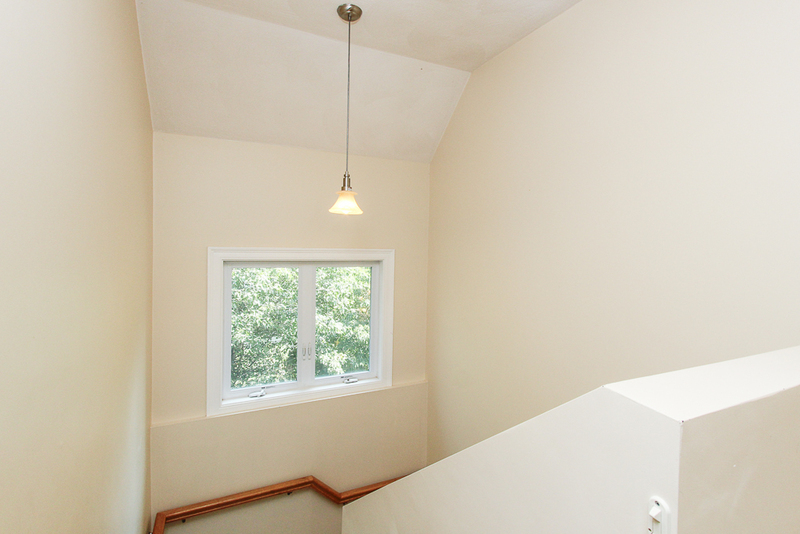 The front entrance is through a foyer/mudroom with windows, tile floor and coat closet. There’s a full bathroom on this floor with a tub and shower. 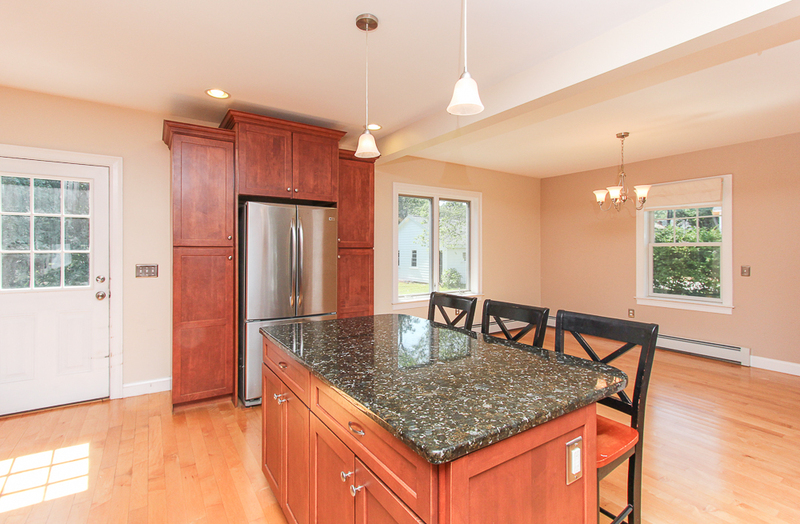 Features in the kitchen include an island with breakfast bar, stainless steel appliances, gas stove and a striking expanse of granite counters. 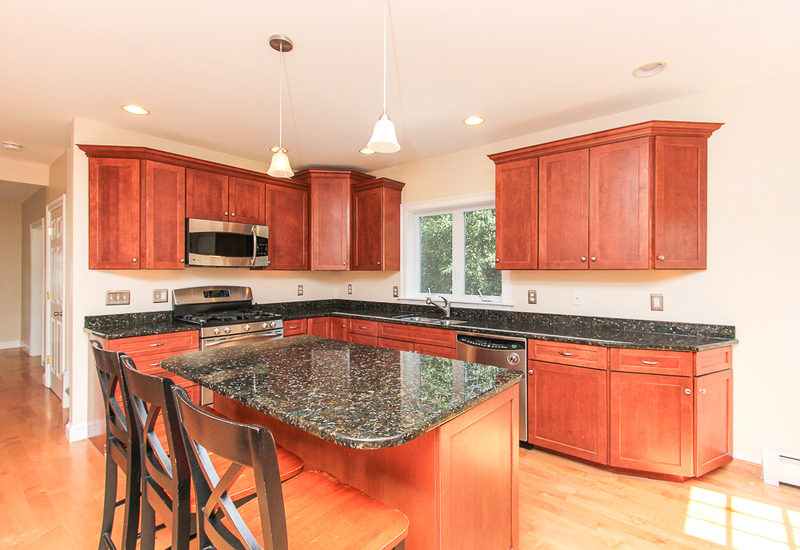 There are ample cherry cabinets and an additional pantry closet. The pleasant work space is well designed. 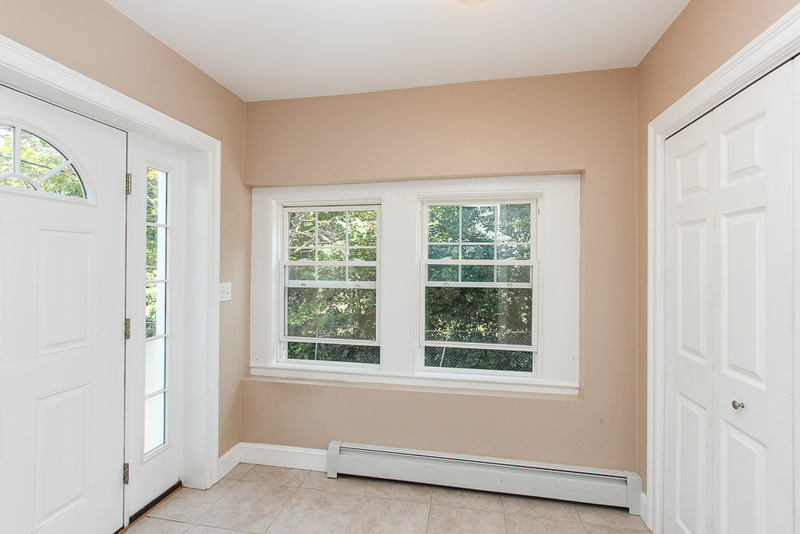 With an exterior access from this space, you can just imagine a kitchen or herb garden right outside the door. 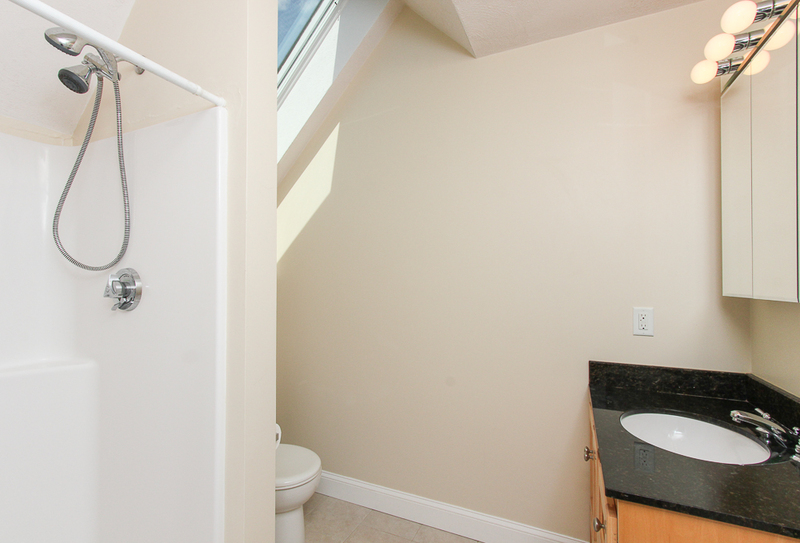 On the second floor are three bedrooms, and two full bathrooms all with skylights and the laundry. 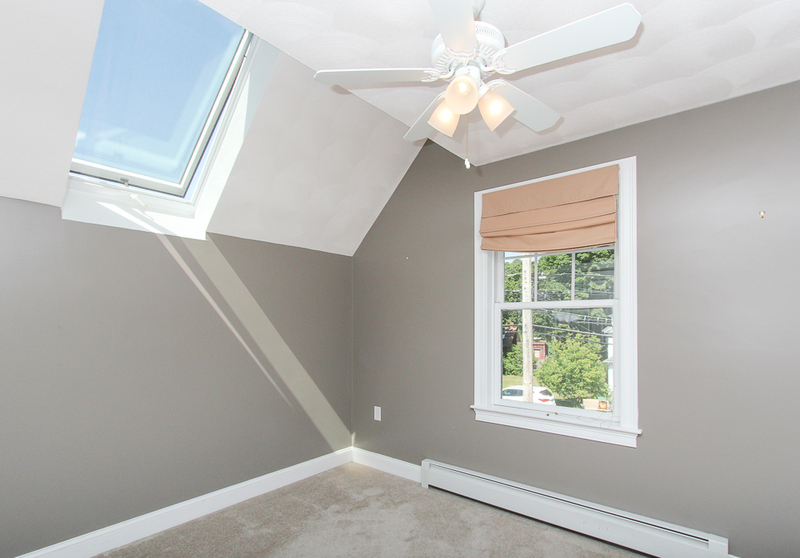 Dramatic vaulted ceilings and generous natural light in the master bedroom provide a beautiful space to relax. There are two closets, one a walk-in. 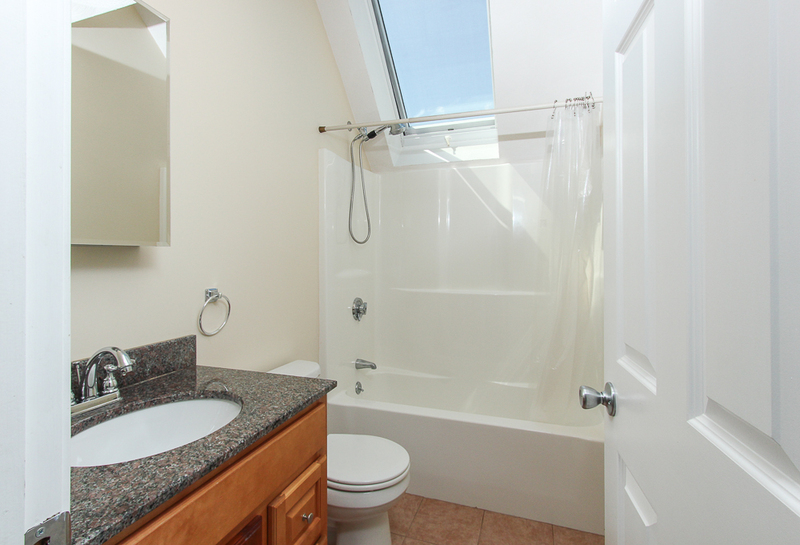 The master bath has tiled floors, granite counters and a walk-in shower. Particularly noteworthy are the high ceilings on both the first and second floors, the large windows and lots of light on all sides of the house. 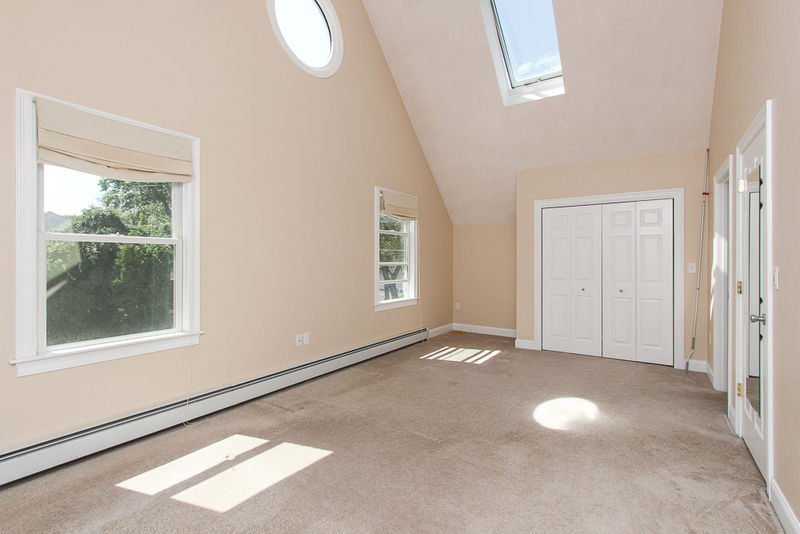 Potential for expansion into the attic with it’s high ceilings and insulation complete. 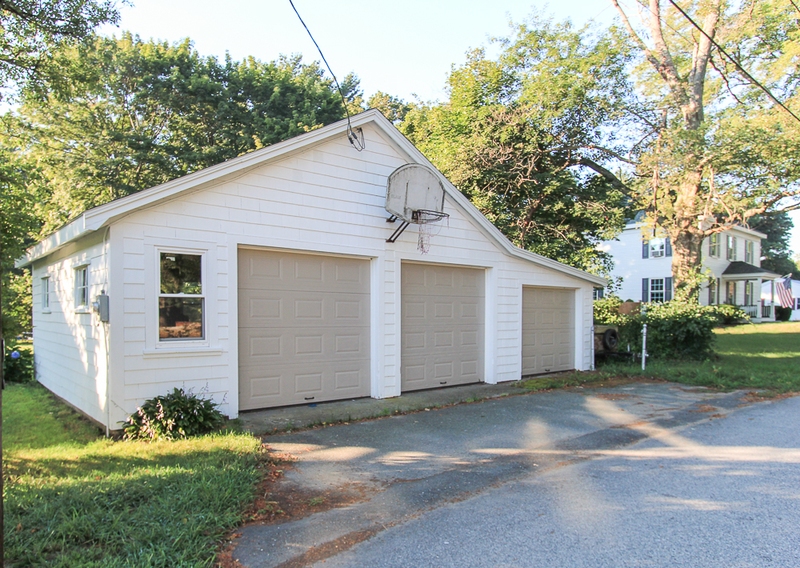 There is a detached oversized three car garage with electricity. Great for space if a workshop is wanted. The house sits on a large 15,000 SF level corner lot that offers plenty of privacy while being in a great neighborhood location. 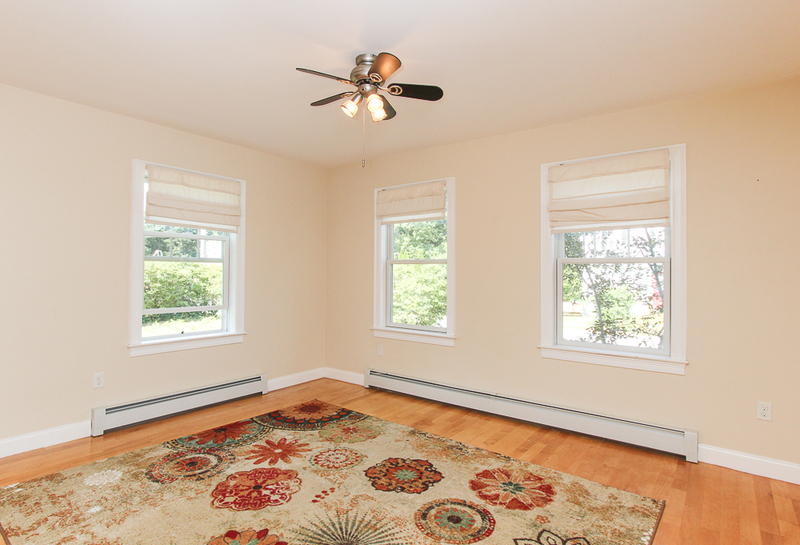 This home has access to Route 128 and commuter rail in the downtown. 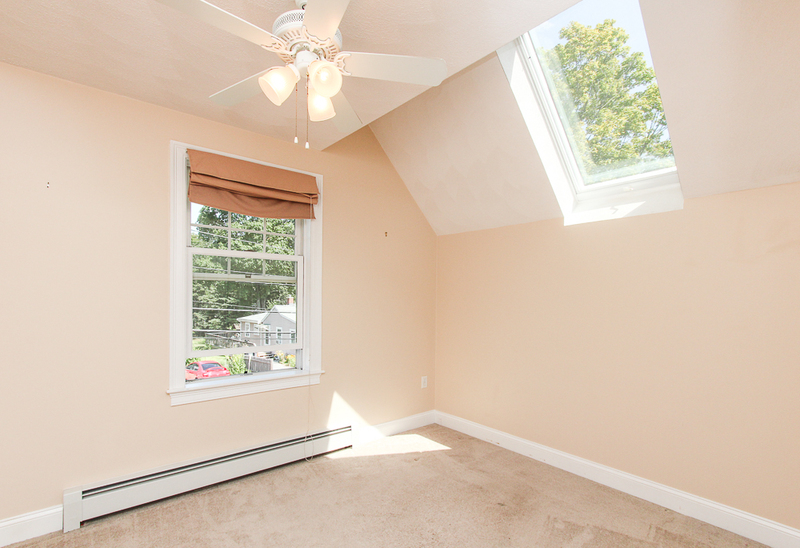 Easy access to Boston and Logan Airport. 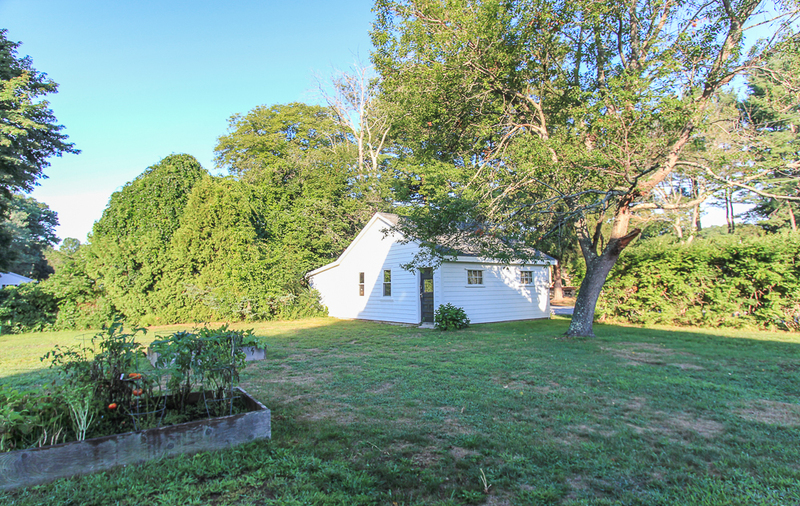 Enjoy Cape Ann resources and Crane Beach nearby.